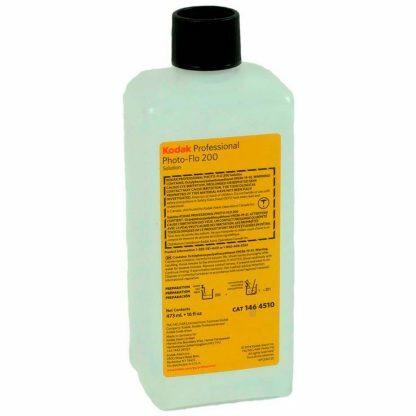 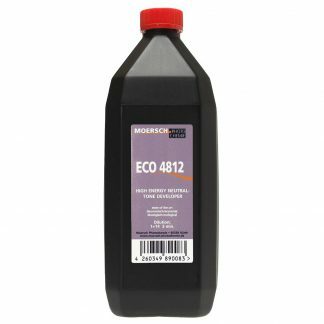 This 473ml/16 oz bottle of Kodak Photo-Flo 200 Solution is a wetting agent used to minimize water marks or streaks that can appear during film drying. 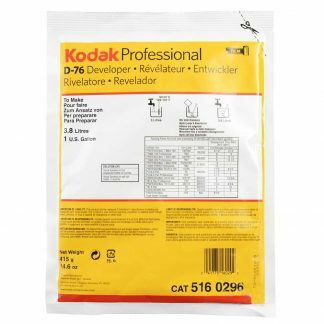 It is used after the final wash when processing films to decrease the water-surface tension and promote faster, more uniform drying. 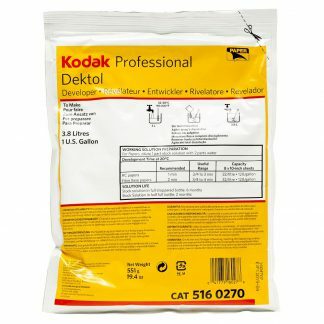 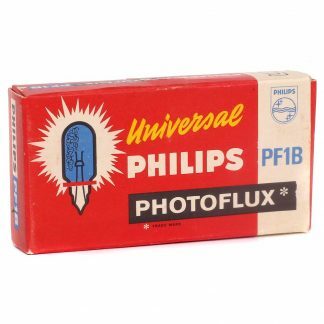 Kodak Photo-Flo is what I have always used as a wetting agent. 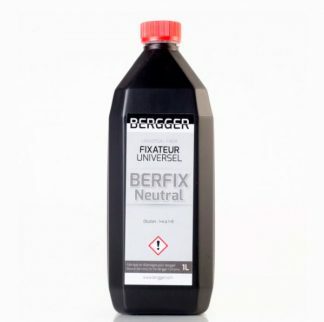 It works and a bottle will last for years. 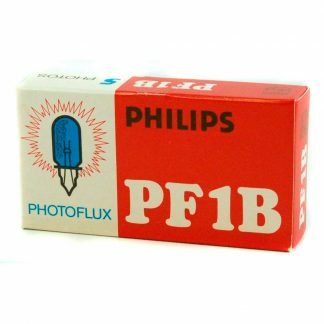 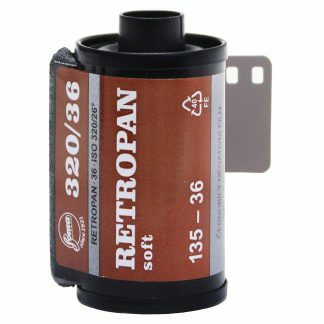 I use 1/4-1/2 cap-full as a measure in a tray with water after each film processing session. 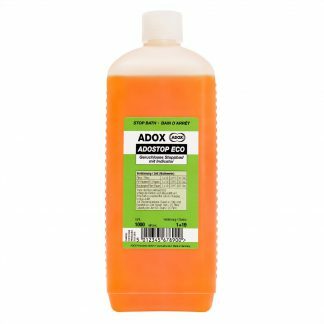 I never use it in the tank itself.